Thoughts on all things design, media & Coffs Harbour. Three women’s sure-handed approach, love of Sawtell and professional flair converges within an workspace design that’s becoming a talking point of First Avenue. Read more about The Design Cupboard’s commercial design work here. In Mid-2017 I was approached by Paul Spinglio to help with Silvio’s - his new, soon to be venture of a combined restaurant/deli/wood fired pizza and wine bar at Park Beach Plaza. 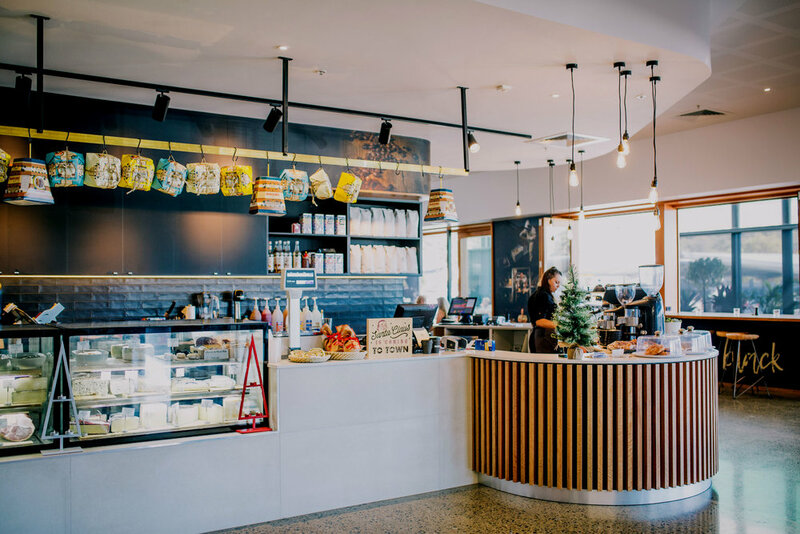 The brief Paul gave me was that it had to be ‘Melbourne’ (which is great because that’s my heritage), he wanted a look that was reminiscent of ‘Old style Italian cafes/deli/restaurants,’ a contemporary look & feel and something different to what has been done in Coffs Harbour. When planning a commercial design space, my aim is to make it WOW, I want people to come in and get impacted. So, for me the most important factor is the wow factor and creating a big impression! I then get down to the function of the space and how every area needs to work and flow into all other connected areas. With years of hospitality experience as a Chef in Melbourne restaurants, and owning, designing and running Cafes and restaurants, I know what you need to create a well functioning Space. The kitchen and service areas are the heart and you need to get this right first. I then design to ensure good traffic flow and allow for eating and service areas that need to be visual to staff. It’s also important to design all separate spaces (deli, wood fired pizza, cafe, bar and external areas with smart and well thought out storage space, and, a lot of thought needs to go into comfortable seating for clients with various options available for private and shared eating areas. I planned for areas to accommodate what people were there for - the deli, seated dining or a glass of wine. As the restaurant is situated in Park Beach Plaza, I knew there would be people looking for alternate dining options to what was around, and, I also wanted to attract different customers to Paul’s existing cafe in the Plaza, JBN which caters to a older market. 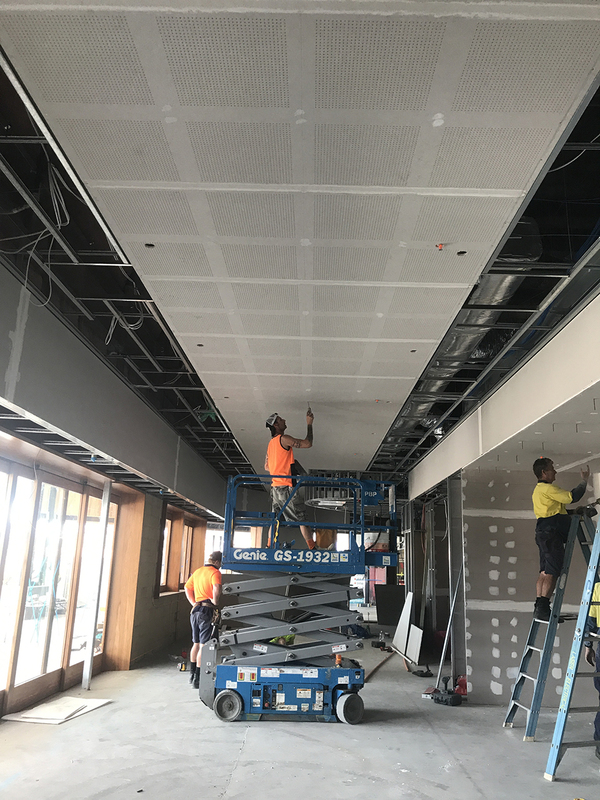 When working on commercial designs, it’s essential to have a great team and because I believe in keeping it local, I used Coffs Harbour based businesses for the fit out. I was already working with Mick Canning from Ballyness and Plumbe joinery but when I went on the hunt for some local artisians, I came across Ash Johnson from Open Studio for the feature mural, Martin Thomasoni for the custom internal table tops, bench seats and bar façade and Craig Brown for the custom deli/homewares table. For photography, Elliot Daniel from The Design Cupboard worked on all the imagery that curved around the bulkeads and ran down the walls. We did many ‘on location visits’ and ‘shoots’ to get what we wanted with fresh grown coffee beans, soiled hands holding tomato plants, and the local legends wall with imagery of the local artisans that contributed to the fit out. When shooting imagery for Silvio’s, I wanted to create a story of local food and the local artisans with their personalities on show. Warmth and moodiness was given to the space by the use of low key photography which faded out to a matte black and then back in again where I needed it with more imagery to a connecting area.